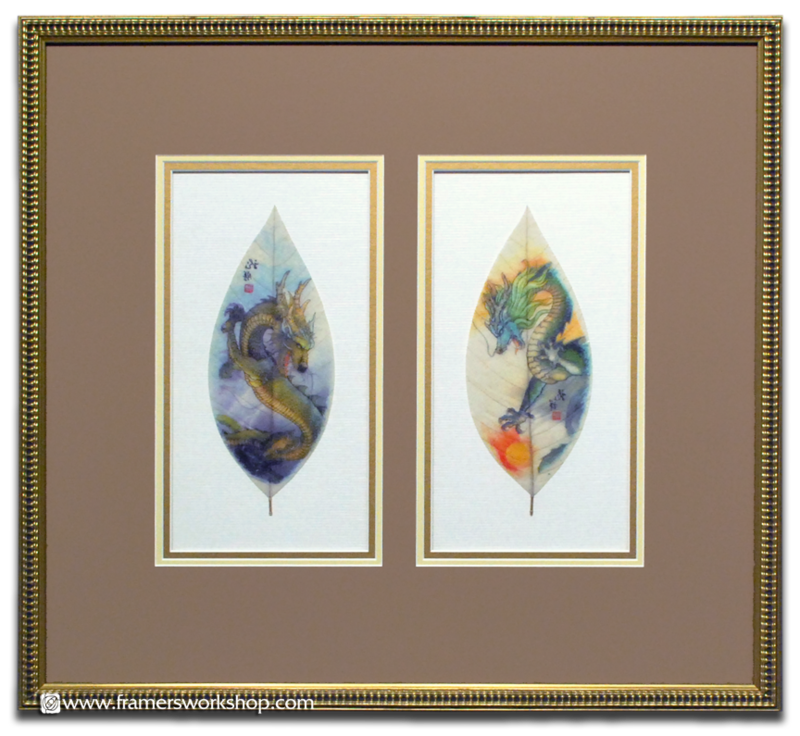 We framed these Chinese leaf vein paintings in a triple mat presentation against a textured cream background. 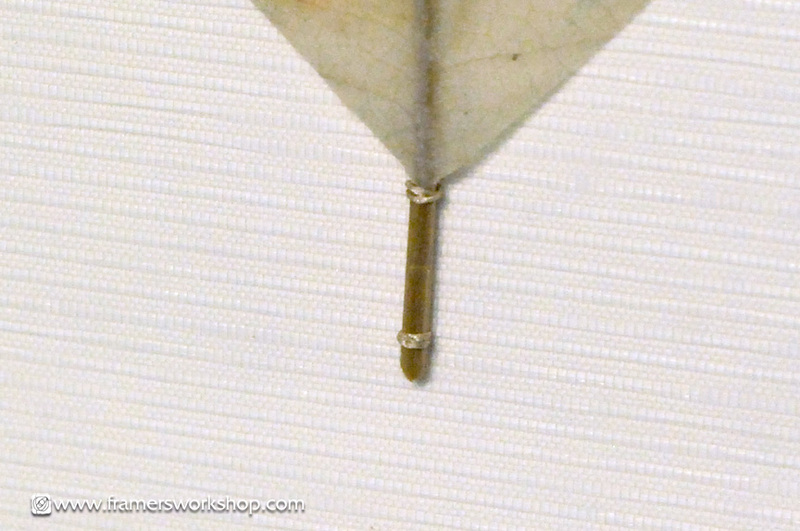 As we did not want to use any adhesives on this project, we attached the leaves by sewing the stems to the backing with fishing line, and in order to keep the leaves from falling forward inside the frame, we covered them with a piece of Optium Museum Acrylic. 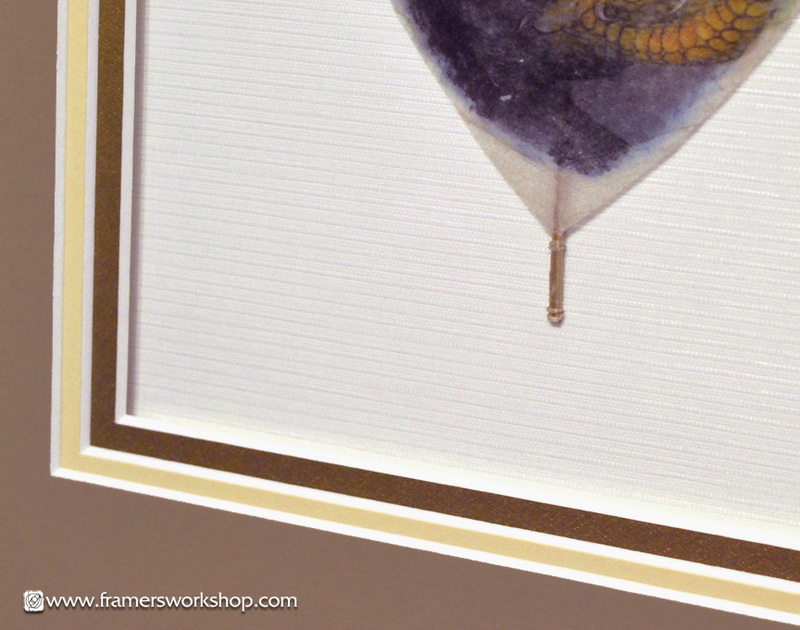 This presentation was then topped with the double window triple matting, adding Museum Glass surrounded by a detailed gold frame.